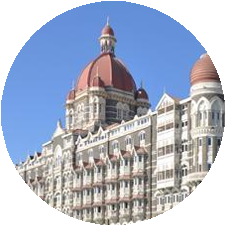 Mumbai, India is a part of the Logistics Plus® network. This office provides air and ocean freight forwarding, inland ground and rail, warehousing and distribution, project cargo, import/export, and global trade compliance services. It is the most populous city in India, most populous metropolitan area in India, and the eighth most populous city in the world. It is also the wealthiest city in India, and has the highest GDP of any city in South, West or Central Asia. Mumbai is the financial, commercial and entertainment capital of India. The city houses important financial institutions such as the Reserve Bank of India, the Bombay Stock Exchange, the National Stock Exchange of India, the SEBI and the corporate headquarters of numerous Indian companies and multinational corporations. Mumbai is also home to a Logistics Plus office where we proudly serve both small and large businesses throughout the region. If you’re located in Mumbai, or any other surrounding community, your friends at Logistics Plus are ready to provide you with local, domestic, and global transportation and logistics services. Additionally, we’ll show you how our people in India put the “plus” in Logistics Plus by doing the big things properly, and the countless little things, that together ensure complete customer satisfaction and success!